For centuries the Roman army was the most fearsome fighting force on the western hemisphere, eventually bringing most of Europe, the Middle East, and northern Africa under the control of Rome. This feat required massive supply lines, training, equipment, and strategy, led by strong leaders. To many people, the Roman Army IS Rome. The Roman military was intertwined with the Roman state much more closely than in a modern European nation. Josephus describes the Roman people being as if they were "born ready armed." and the Romans were for long periods prepared to engage in almost continuous warfare, absorbing massive losses. For a large part of Rome's history, the Roman state existed as an entity almost solely to support and finance the Roman military. The military's campaign history stretched over 1300 years and saw Roman armies campaigning as far East as Parthia (modern-day Iran), as far south as Africa (modern-day Tunisia) and Aegyptus (modern-day Egypt) and as far north as Britannia (modern-day England, Scotland, and Northeast Wales). 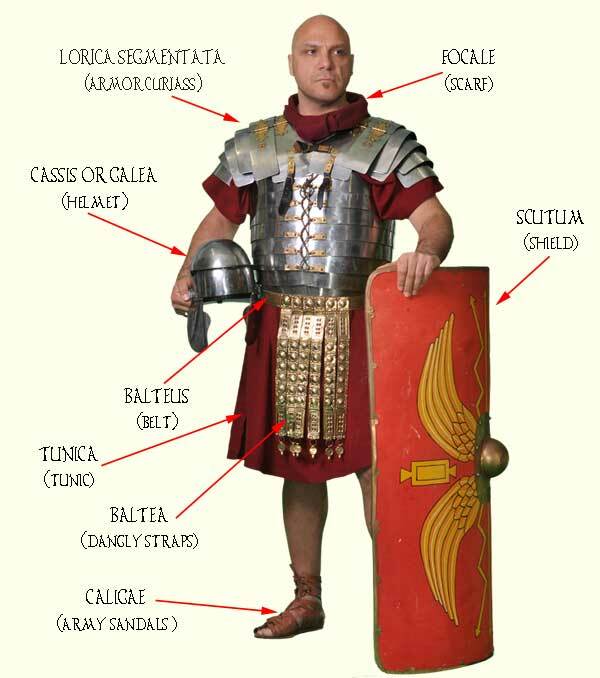 The makeup of the Roman military changed substantially over its history, from its early history as an unsalaried citizen militia to a later professional force. The equipment used by the military altered greatly in type over time, though there were very few technological improvements in weapons manufacture, in common with the rest of the classical world. For much of its history, the vast majority of Rome's forces were maintained at or beyond the limits of its territory, in order to either expand Rome's domain, or protect its existing borders. The Roman army of the Late Republic (107 30 BC) marks the continued transition between the conscription-based citizen-levy of the mid-Republic and the mainly volunteer, professional standing forces of the imperial era. The main literary source for the army's organisation and tactics in this phase are the works of Julius Caesar, the most notable of a series of warlords who contested power in this period. As a result of the Social War (91-88 BC), all Italians were granted Roman citizenship, the old allied alae were abolished and their members integrated into the legions. Regular annual conscription remained in force and continued to provide the core of legionary recruitment, but an ever-increasing proportion of recruits were volunteers, who signed up for 16-year terms as opposed to the maximum 6 years for conscripts. The loss of ala cavalry reduced Roman/Italian cavalry by 75%, and legions became dependent on allied native horse for cavalry cover. 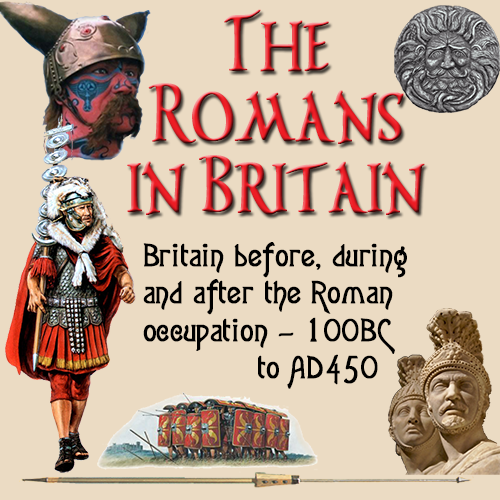 This period saw the large-scale expansion of native forces employed to complement the legions, made up of numeri (units) recruited from tribes within Rome's overseas empire and neighbouring allied tribes. Large numbers of heavy infantry and cavalry were recruited in Spain, Gaul and Thrace, and archers in Thrace, Anatolia and Syria. However, these native units were not integrated with the legions, but retained their own traditional leadership, organsation, armour and weapons. The Imperial Roman army (30 BC AD 284), when the Republican system of citizen-conscription was replaced by a standing professional army of mainly volunteers serving standard 20-year terms (plus 5 as reservists), as established by the first Roman emperor, Augustus (sole ruler 30 BC - AD 14). The legions, consisting almost entirely of heavy infantry, numbered 25 of ca. 5,000 men each (total 125,000) under Augustus, increasing to a peak of 33 of 5,500 (ca. 180,000 men) by AD 200 under Septimius Severus. 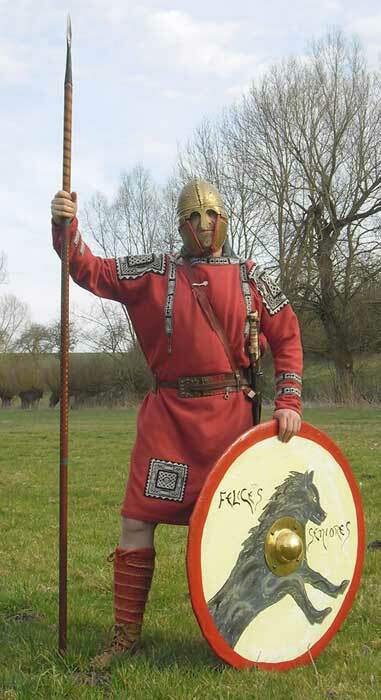 Legions continued to recruit Roman citizens only i.e. mainly the inhabitants of Italy and Roman colonies until AD 212. Regular annual conscription of citizens was abandoned and only decreed in emergencies (e.g. during the Illyrian revolt AD 6-9). Legions were now flanked by the auxilia, a corps of regular troops recruited mainly from peregrini, imperial subjects who did not hold Roman citizenship (the great majority of the empire's inhabitants until 212, when all were granted citizenship). Auxiliaries, who served a minimum term of 25 years, were also mainly volunteers, but regular conscription of peregrini was employed for most of the 1st century AD. The auxilia consisted, under Augustus, of ca. 250 regiments of roughly cohort size i.e. ca. 500 men (125,000 men, or 50% of total army effectives). The number of regiments increased to ca. 400 under Severus, of which ca. 13% were double-strength (ca. 250,000 men, or 60% of total army). Auxilia contained heavy infantry equipped similarly to legionaries; and almost all the army's cavalry (both armoured and light), and archers and slingers. The Late Roman army (284 476 and its continuation, in the surviving eastern half of the empire, as the East Roman army to 641). In this phase, crystallised by the reforms of the emperor Diocletian (ruled 284-305), the Roman army returned to regular annual conscription of citizens, while admitting large numbers of non-citizen barbarian volunteers. However, soldiers remained 25-year professionals and did not return to the short-term levies of the Republic. The old dual organisation of legions and auxilia was abandoned, with citizens and non-citizens now serving in the same units. The old legions were broken up into cohort or even smaller sizes. At the same time, a substantial proportion of the army's effectives were stationed in the interior of the empire, in the form of comitatus praesentales, armies that escorted the emperors.